Three times a day, and sometimes more, everyone asks themselves, "What can I serve that my family and friends will enjoy?" This classic cook book from General Mills icon Betty Crocker answers the call with quick and easy recipes for breakfast, lunch, dinner and snacks. Whether you ae planning a party and need fancy sandwiches or hearty meals, cakes for dessert or bread and herb butter to go along with dinner, this book has a fast recipe for everyone. Simple instructions and charming two-color illustrations bring each easy-to-make recipe to life. 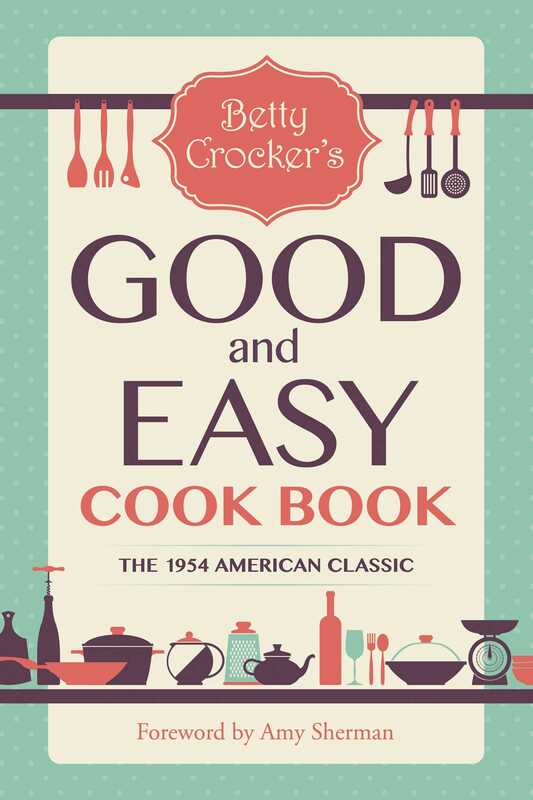 Pick up a copy of Betty Crocker's Original Good and Easy Cook Book and get a thousand time-saving and taste-tempting recipes.